Dr Kristin Soda provides an all important reminder and update on Vaccinations in Australia. I thought today I’d just provide a reminder and an update about vaccinations in Australia. Firstly, having vaccinations in Australia is widely accepted by most people. However, it still remains controversial for some. Without going into this too much, the majority of Australians do accept the very, very, very rare risk of an adverse reaction that could possibly arise from vaccination. They accept this in order to protect themselves and their loved ones from serious and potentially fatal illnesses. Those who do not immunise are, to a degree, protected from coming into contact with serious illness, because the majority do immunise and therefore do not harbour or potentiate a disease. This effect is called herd immunity. It’s important to acknowledge this and it’s important not to be complacent. Remember, in the 1970s, we eradicated smallpox. We can eradicate polio in the future. Some very infectious illnesses, like measles, do require a herd immunity of about 95%. This is the standard that Australia sets and aims for with its immunisation rates. Interestingly, in Europe there have been some changes made at a government level in response to their recent increase in measles cases. France has made 11 vaccinations mandatory from 2018, and it will be a legal requirement to vaccinate. Italy is following suit. Another important realisation is regarding pertussis, or more commonly, whooping cough. 80% of whooping cough cases these days occur in adults; however, 80% of deaths from whooping cough occur in children under the age of two. Pregnant women can boost their passive transfer of immunity to their babies by having the free vaccination from 28 weeks gestation. This will help protect their baby until their baby can have their two-, four- and six-month immunizations. Recent changes with vaccination in Australia include, from July this year, the expansion of the program to provide free scheduled catch-up vaccinations for all Australians up to the age of 19, and, for the first time, refugees and humanitarians of any age. Shingles vaccination is now free for people age 70. Those who are age 71-79 can also have the vaccine free, and it’ll be done as part of a catch-up program over the next five years. Shingles is the rash reactivation of the chicken pox virus and can result in extremely painful blisters on the skin. This pain can last for months. The disease burden is lowered when we vaccinate and remind the immune system to keep this virus in check. Interestingly, an argument has been made, “I had chicken pox as a child. Why not just let the kids of today suffer the wild virus?” Apart from the wild chicken pox virus causing possibly encephalitis and pneumonia, which is a brain infection and of course a chest infection, it also makes shingles more likely, compared to the rates after having the chicken pox vaccination as a child. On another topic, meningococcal is a rare but potentially lethal bacterial infection, which seems to be notorious in the media for the horrible blotchy rash that it can cause. Children are protected against type C of this at 12 months. Type B vaccination is available on private script and has been included on the government schedule in countries like the UK, but not yet adopted here. As of July this year, year 10 students and children age between 15-17 can have a free vaccination against types A, C, Y, and W.
On another note, our pap smear screening is changing at the end of 2017 as a result of the HPV vaccination that was introduced in 2007 for girls aged 12-13. Boys were included since 2013. It protects against four of the most nasty strains of the genital wart virus. To put it in perspective, about four out of five Australians will, in their sexual lifetime, come into contact with the genital wart virus. Our very own Professor Ian Frazer won a Nobel Prize for this work, and we know in the future it will reduce the rates of cervical cancer and genital cancer. MMR vaccination, or measles, mumps, rubella vaccination, may be a requirement if you’ve not been immunised that you can remember, and if you were born before 1966. People born after 1966 and up until the mid-’80s may also need MMR vaccination if their results are questionable or if their evidence is lacking that they’ve had a complete course. Your GP or practise nurse can speak to you more about this if you’re concerned. I’ve found the table at the back of the immunisation book, and it’ll also be available on the website, extremely helpful, as it directly compares the effects of getting the disease versus getting the vaccination. The list of effects from the illness are always a whole lot scarier than the vaccination itself. I encourage people to read more about vaccinations and to educate themselves on how and why they work. The website www.immunise.health.gov.au is there for your perusal, and we are here as well. Stay safe. The Australian Immunisation Handbook link can be found here and if you would like to the ‘Comparison of the effects of diseases and the side effects of NIP vaccines then go to page 573 of the handbook. 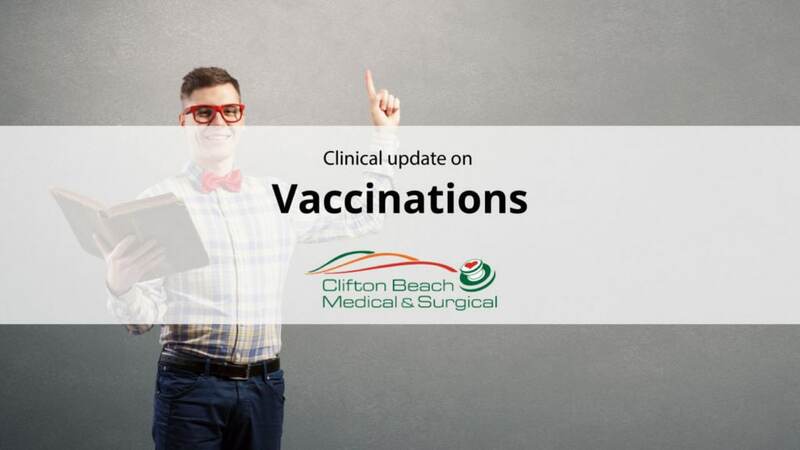 If you would like to book a vaccination appointment, click here.